Unfortunately we’ve had some trouble along the way, like the lack of a default Java-based wallet config file for the local Burst wallet (apparently not included in the client package version 0.2) that was resulting in a weird error from the Java when trying to run the local wallet (we have Java installed and working properly, but the wallet is crashing with unexpected error because the config file is simply missing in the official zipped release of the GUI wallet, so it took us some time to figure out the cause of the error). Downloading the complete Burst blockchain can take a while as it is getting close to 2.5 GB already, though you can make it faster by downloading a zipped version and adding it to the local wallet. Generating plot files on the hard drives is also a process that takes quite some time, even for a relatively small 100 GB size it could take a while, let alone for large terabyte plots. We’ve also had trouble getting the GPU assisted miner working, though the CPU one apparently works just fine. You should try mining on a pool as solo mining is probably pretty pointless with such a high difficulty, but even on a pool with a small plot size it might not be worth the effort to start mining at all, so go for it only if you have a lot of free HDD space in the range of Terabytes, not Gigabytes. In the end, if you still haven’t gotten into Burst, then it most likely it is late to do so now. There is an improvement since we’ve last tried it, however we dont think it is enough, especially on the user friendliness front and that is an important thing if you want to attract more new users and miners especially. 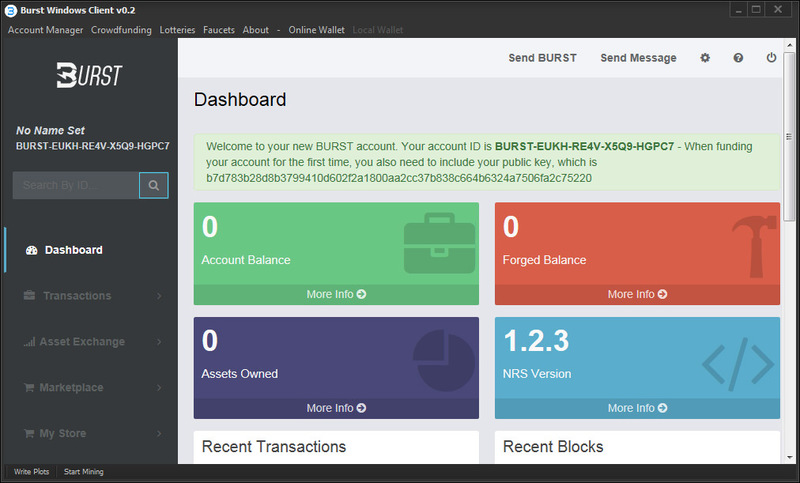 Still, if you have some significant amount of free HDD space and what to try mining a crypto currency that does not require much of a CPU or GPU resources, then you can check Burst out. Another alternative for making money out of your free HDD space could be Storj’s DriveShare when it launches officially, hopefully later this year, so if you are in for the profit you might skip that one as well. For now we are probably going to stick for a while longer testing the DriverShare beta, but more out of curiosity as it is not very profitable and requires a significant initial investment in order to be eligible for rewards, instead of trying to mine Burst coins. 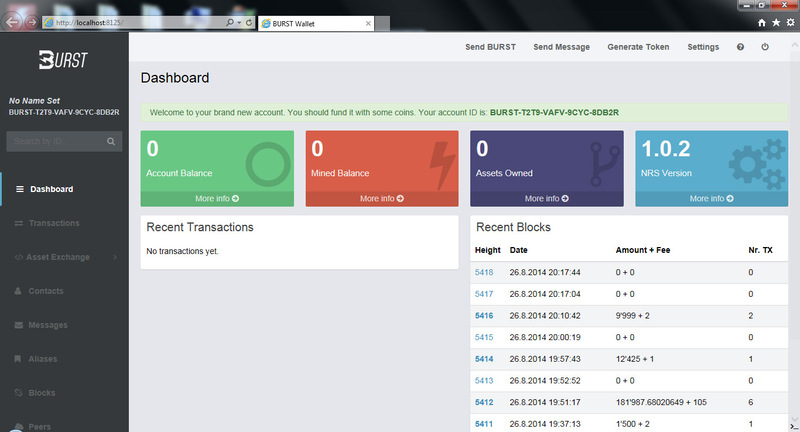 We should start with the fact that the Burst wallet is web based and relies on Java, the same goes for the miner that is also Java-based, but that should not be a problem if you are familiar with Java. The setup and mining documentation is a bit vague and definitely not easy to understand and follow by novice users, furthermore you need to edit BAT/SH files with parameters that are not well documented and you need to look on forums for help. The coin needs a lot of HDD space, we are talking about 100s of GBs and it takes a lot of time for the plots to be initially generated and by lot we mean 12-24 hours, depending on your hard drive and system configuration. When you start to mine you are essentially solo mining, though apparently a beta pool support (also not well documented) is already available and already for more that 24 hours of solo mining we still haven’t found a block. In short – an interesting concept, needs to be made more user friendly and easy to be used, better documented so that you know how to optimize things for best performance… still you might want to check Burst out.